You may think that you can’t turn to the same contractor for two totally different services like garage door installation and an attic insulation upgrade. While this is true of some contractors in Knoxville, Loudon, and surrounding areas in Tennessee, it certainly isn’t the case for 31-W Insulation. While our name may fool you into thinking we focus solely on wall or attic insulation, we’re actually a full-service provider of a wide variety of home improvement products and services. And, because we consistently earn an A+ rating from the Better Business Bureau, you can trust that your project will receive the attention to detail you require and that you’ll be given the customer service you deserve. Contact us to learn more about our products, including attic insulation, shower doors, custom mirrors, and more. 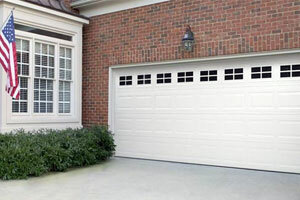 Homeowners in areas surrounding Loudon and Knoxville, TN, can also schedule a free in-home estimate for their new garage door, fireplace, closet system, or any other home improvement product.